Every account is provided with either a local or nationwide toll free number, which may be called directly (may be used in client’s advertising) or be forwarded to, typically from a client’s existing business lines. In some instances a client may do both, forward office lines when they need us to answer and they will also advertise (web site, postcards. etc.) the provided number. Accounts are custom built and configured to exact specifications. Calls will be answered using a client’s pre-chosen answer phrase and will be processed according to the client’s instructions. Different types of calls may be processed. For example, new sales and support calls may be expected. In this case client’s account screens may have instructions such as, for all support calls, go to page 2. For all new sales calls, go to page 3. On each page specific instructions will be given for processing that type of call. In the support example the agent may be instructed to e-mail that information to 5 separate e-mail addresses. For a sales call, perhaps the instructions are to gather up certain information and patch the caller through to a salesman. Any combination of delivery methods may be selected for any type of call. For example, maybe certain types of calls need an e-mail and a text message, while others are held until a scheduled e-mail or fax summary is sent the next morning. Alternatively, certain call types may require that information is provided to callers, such as, offering up-sell information while an agent completes a script. Other times agents may simply be relaying information, such as, business address, providing directions to your nearest location or supplying information on the types of services you provide. These are but a few examples of available services and how they work. Many more can be found within this website. 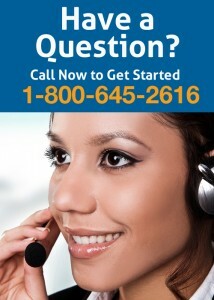 Our call center charges a low base rate each billing cycle, much like an access fee. The base rate provides 24/7 access to our agents, a provided phone number and an unlimited web portal through which instantaneous account information is available. The low base rate is the only commitment, after that pay only for what is used. Accounts and services are billed for the time actually used. Because all usage is billed in arrears, there is never a reason to worry about changing rate plan size nor is there ever any concern about paying for unused calls or minutes. There are also never any unexpected “overage” fees. Once an agent answers a call, it will never be interrupted. This provides a much nicer experience for callers, as opposed to being repeatedly interrupted with, “Will you hold for just a moment? I have to answer another call.” At our answering service the only time a caller is ever placed on hold is if the account instructions are for an agent to patch through a call. In this instance an agent would have to place the caller on hold while they attempt to connect the caller directly to a staff member at your office. The only other scenario where a caller would not immediately speak with an agent can happens when the call first arrives. Our call center agents answer 85% of our calls on the first ring, at which time an agent stays with the caller until completion. An additional 10-12% of inbound calls are still answered by a live virtual receptionist, who takes the caller to completion, however they are answered on the 2nd, 3rd or 4th ring. The remaining 3-5% of inbound calls will complete the 4th ring, at which time a custom announcement, in your company name, will play to let the caller know all representatives are busy and that someone will be with them in less than 15 seconds. The caller is then placed in a hold queue where professional music is played until the call is answered by the next available call center agent. Our average hold time in this queue is 15 seconds or less. Again, because of how our answering service bills, we do not want callers in the hold queue. If they hang up, you miss a call and we don’t earn revenue. Our IT staff takes extraordinary means to insure our call center stays operational. Our telephone answering service was designed and built to function both during and after a category 5 hurricane. On premise we maintain our own power plant and utilize redundant telephony, including multiple circuits from different providers. Software and hardware are protected by the use of redundant servers, switches and routers, including both physical and virtual machines. The other area of concern is employee reliability and attendance. To combat this, our center uses a mix of both in-house and remote virtual receptionists, insuring we always have agents with access to our systems. In short, our systems and center are very reliable, however we also understand the need to communicate should something happen. In the event of an emergency we are able to quickly notify clients via e-mail or fax through the use of our robust automated communications platform. In addition we encourage our clients to follow us on Twitter and Facebook as important updates also may be found there. With our call center you do. Most services offer discounts for prepaid packages; these packages are very difficult to utilize because they require you to forecast your incoming calls. If you buy too many minutes or calls then nothing rolls over and you wasted money paying for services you didn’t use. If you purchase too few, then you end up paying exorbitant overage fees. For example, if you sign up for 1000 minutes and only use 400 minutes, you’ll have 600 unused minutes that don’t rollover. If you sign-up for 1000 minutes and you use 1200, the additional 200 minutes are billed at a much higher rate than your package minutes. Our billing system automatically discounts your rate EVERY billing cycle when certain thresholds of call volume are reached. For example, if 1000 minutes are used in a billing cycle your invoice will be automatically discounted to our 1000 minute package rate; there is no need to commit to anything. The higher the volume the larger the discount and you are not obligated to use any amount of minutes per billing cycle. Just pay for what you actually use. There are two choices, use the online sign-up or complete and return a written sign-up form. To sign up online, please click here to go to our main website online sign-up form. Call Atlanta Telephone Answering Service today at 1-800-645-2616 or fill out this simple form and we’ll send you an information packet with no obligation. Atlanta Telephone Answering Service’s live telephone answering service solutions will redefine what you expect from a telephone answering service. Live Agents. Call Recordings. Amazing Results!